As a luxury car manufacturer Volvo has successfully overhauled its image in the recent past. Not only do its offerings boast more panache than their German rivals thanks to their typical Scandinavian design, but they're also known for their top notch build quality, high equipment levels and the rich, premium feel. And when the Volvo XC40 gets launched in India early in July, the Swedish manufacturer won't just chart new territory with it. Yes, the XC40 is Volvo's smallest SUV yet and marks its entry into what is considered a volume segment in the luxury car space, the compact luxury SUV segment. But more importantly, Volvo will challenge the German trinity in this all-important segment with the same aforementioned virtues. 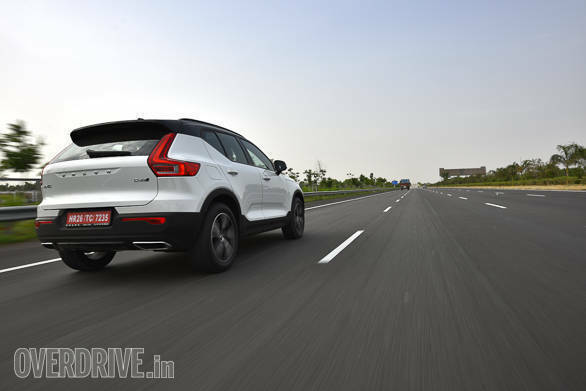 We came back impressed after getting a little taste of the XC40 in Europe a few months ago and now that the XC40 is almost here, Volvo gave us an opportunity to experience the SUV on Indian soil. Read on to know more. As mentioned above, the XC40 is Volvo's first compact luxury SUV. It looks typically Volvo, though the lines are not as curvy as the XC60 or the XC90's. The Volvo XC40 is, in fact, one of the few cars that look nearly identical to their concept form, which in this case is the Volvo 40.1 concept that was showcased last year and is based on Volvo's Compact Modular Architecture platform. The front end is in line with other new generation Volvos thanks to the rectangular grille as also the 'Thor's Hammer' LED daytime running lamps. Volvo tells us the XC40 is slightly larger in size than its rivals and is a true SUV and not a crossover, unlike the trend these days. The XC40's unladen ground clearance of 211mm hints at its SUV status as does the SUV's tall, more upright stance along with its high-set clamshell bonnet. The XC40 also looks very distinctive from the sides with its gloss black finished roof and also how sharply the rear window sill is angled towards the C-pillar. The XC40 is well-proportioned and Volvo's design team has taken its time perfecting the SUV's styling. This is even more apparent at the rear where the typical Volvo tail lamp design gets a makeover to look fresh and distinctive. The tailgate is simple and elegant looking, with the Volvo name stretched across, while dual exhausts add a hint of sportiness, as do the 18-inch alloy wheels shod with fat 235-section Pirelli P Zeros. Only the fully-loaded R-Design variant will be launched in India initially  Volvo's top-down approach seems to be working well and the manufacturer is keen on continuing that. More variants will be considered later. 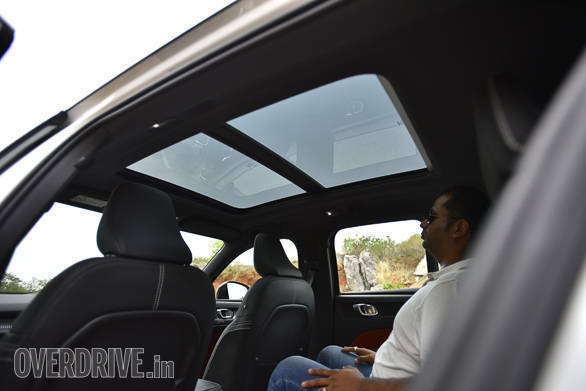 The gloss black roof is exclusive to the R-Design and looks nice, especially with the panoramic sunroof. On the whole, the XC40's design is a mix of youthfulness and the stylish elegance Volvo's new age designs are known for, considering that Volvo is targeting millennials with this SUV. The insides of the Volvo XC40 might stun you. The R-Design variant uses bright orange-hued door panels and floor mats that contrast well with the black theme. The cabin also gets a fair amount of brushed metal finishes and panels that accentuate the classy feeling, unlike the industrial designs seen in German SUVs. The 9-inch touchscreen is the largest in the segment we're told and is a class apart with its high resolution and excellent touch sensitivity  it almost feels like an iPad! 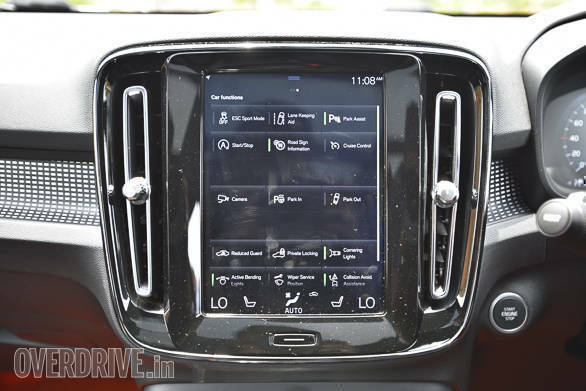 The screen is your gateway to Volvo's infotainment system dubbed Sensus connect and includes a long list of features apart from allowing you access to a plethora of functions and also offering Apple CarPlay and Android Auto connectivity. A lot of people complained initially that a massive touchscreen replacing physical buttons including those for air-conditioning is distracting to use on the go, but the screen is a breeze to operate. It sits flanked by Volvo's signature vertical air-conditioning vents, while the centre console beneath looks clutter-free. The steering wheel is a typical Volvo affair while the all-digital instrument cluster looks simple yet elegant. The seats are part Alcantara and part leather, yet another segment first and are luxurious and comfortable. A major highlight inside is the 13-speaker equipped high end music system from Harman/Kardon that makes for brilliant acoustics with its crisp audio quality and excellent bass. There's ample space at the rear while the boot is spacious and also has cleverly designed storage spaces. In fact, the door pockets are large enough to hold a laptop if needed! On the whole the XC40's cabin feels upmarket and very premium while also feeling very spacious. The XC40 is powered by Volvo's four-cylinder, 2.0-litre diesel engine (D4) producing 190PS at 4,000rpm and 400Nm between 1,750rpm and 2,500rpm. Volvo is claiming a 0-100kmph of 7.9 seconds which is quick. The motor is mated to an eight-speed automatic transmission and you also get steering-mounted paddle shifters. The gear selector is a stubby unit on the centre console that you need to move twice every time you need to shift from drive to reverse, as pushing it once only lands you in neutral, which is slightly irritating until you get used to doing it. The XC40 also offers various driving modes including Eco, Comfort, Dynamic, Off-road and Individual which alter the steering feel and responses from the engine and gearbox. Volvo has equipped the XC40 with an AWD system from Haldex (fourth generation) and changing drive modes also changes the all-wheel drive system's torque bias. The Volvo XC40 comes with a host of features and a rather long equipment list, many of which are segment firsts. 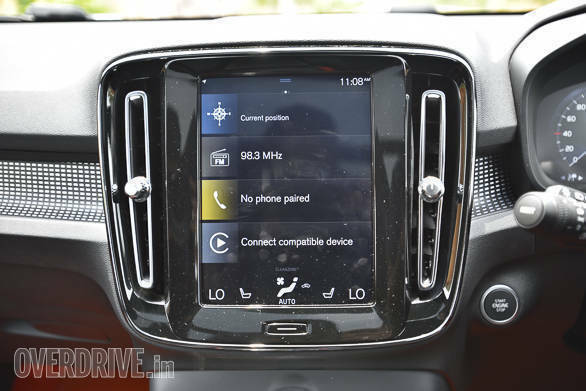 Right at the top of that list are Volvo's radar-based driving systems, seen on the XC90 and XC60 prior to this. These include Pilot Assist, Adaptive Cruise Control, City Safety with pedestrian, cyclist and large animal detection, Oncoming lane mitigation, Driver Alerts and Lane Keeping Aid. 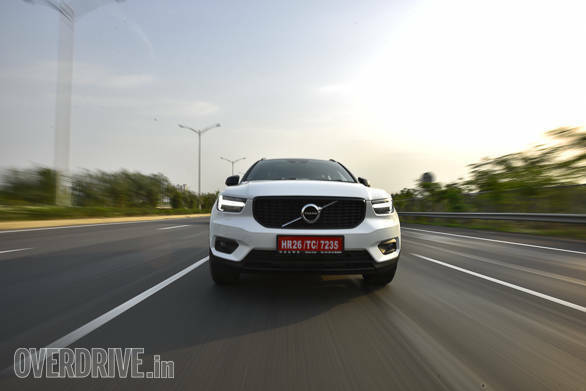 These are not just segment firsts but also systems seen only in cars belonging to one or two segment above the XC40's and are sure to give Volvo a significant advantage over the competition. Features like the foot wave function for the boot opening and closing, reverse camera, park assist and a wireless charging pad are all standard in the R-Design variant of the XC40, while its competitors offer them only as optional. The 2.0-litre diesel sounds and feels exactly how Volvo's engines are  smooth, refined and reasonably quiet. 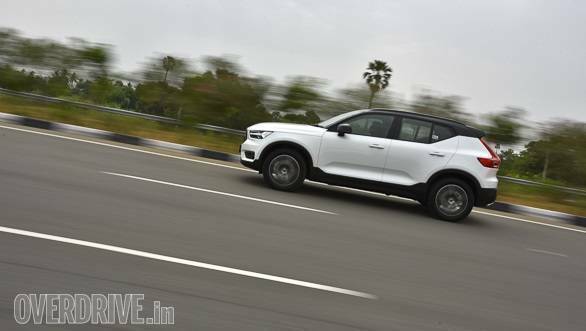 We drove the XC40 on Hyderabad's famous ORR (Outer Ring Road) which is a traffic-free, six lane Expressway as also in some of the city's traffic. The D4's is a delight in either condition as power delivery is linear and performance is sprightly at all times. Acceleration is quick and getting to triple digit speeds and staying well above the 100kmph mark is no mean feat for the motor. The eight speed Aisin automatic transmission is reasonably quick to swap ratios as well. Unlike Volvo's older powertrains that felt lethargic the XC40's engine and gearbox make for an engaging feel from behind the wheel which is in line with what a young compact luxury SUV buyer would look for. Dynamic mode is where the fun is, and that's the one I ended up using most of the time to have the powertrain offer its full wealth. 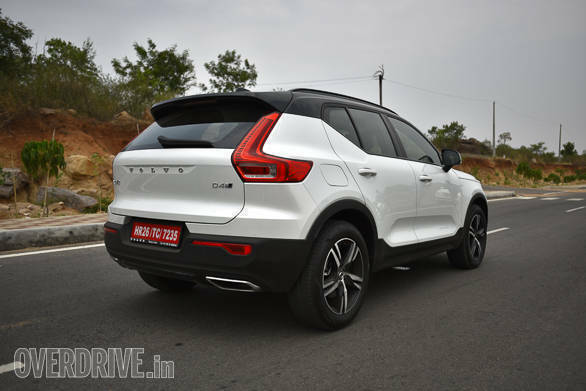 The radar-based driving systems are an absolute delight to use on the highway, as they make for a relaxed feel  set a speed for adaptive cruise control and engage pilot assist along with lane keep assist and the XC40 continues driving on its own as long as you keep one hand on the steering wheel. The steering feels light and offers a direct feel, which is likeable at slow speeds when making U-turns. The steering wheel weighs up well at speeds and feels direct, which adds to the XC40's impressive manners. 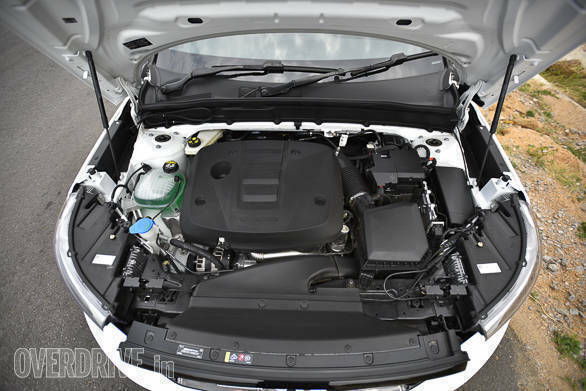 The CMA platform also makes for excellent dynamics as the chassis and McPherson struts upfront and multi-link setup at the rear make for a sporty and confident handling package. The suspension setup also handles bad roads well - there's a firmness to the experience at slow speeds though bump absorption abilities at speeds are impressive. The XC40 also stays planted at high speeds and does not lose composure even when going fast over undulated surfaces. Of course, the XC40 is a Volvo  a brand known to make some of the safest cars in the world and the XC40 feels rock solid thanks to some of the highest levels of engineering and the ultra-high tensile steel used in important areas of the frame. Volvo has pulled off a class act with the XC40  it comes loaded with a host of features and feels very premium in terms of feel. It looks stylish and upmarket, but at the same time it also has the butch appeal young buyers would look for in a compact luxury SUV. Its well-appointed interiors boast a premium finish that offers the feel of being in a more expensive SUV which is sure to click with prospective buyers. The XC40 also drives well and is impressive on the dynamics front which adds to its appeal immensely. When launched early in July, the XC40 will challenge SUVs like the Audi Q3, BMW X1 and Mercedes-Benz GLA in India. Given the amount of equipment it boasts we expect the Volvo XC40 to retail at over Rs 35 lakh ex-showroom when launched in July. But for that kind of money you are sure to get a very premium feeling and capable SUV that's also high on the desirability quotient and not just functionality.